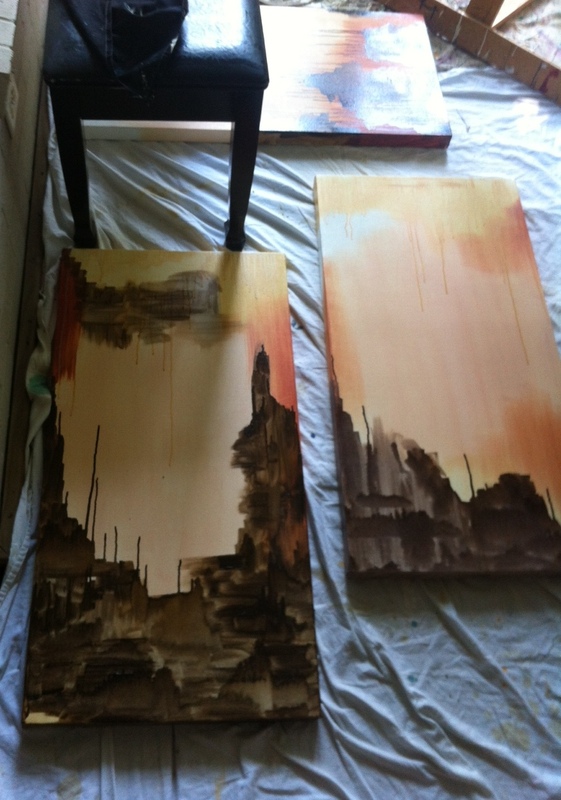 I started late last night but I made some headway with this new Triptych. With the warm weather in Dallas at least these layers will be dry to work on again tonight. I am feeling the pull of the Autumnal palette, there is something soothing about working with Burnt and Raw Umber's, Sienna's and White.